IIMP® accreditation CMMP® (Certified Marketing Management Professional) is a globally-recognized and well respected measure of professional and academic excellence in the practice of marketing. This program will recognize the perseverance, dedication and competence of successful marketing professionals all around the world. Those who earn the CMMP® demonstrate a deep, yet broad knowledge of marketing. It denotes high professional, educational and ethical standards in marketing and is valuable to those practitioners who earn it, to the clients and organizations they represent and most importantly to the marketing profession itself. IIMP® accredited Associate CMMP® is an introductory level international certification designed to cater for the needs of professional development of professionals who know about the marketing discipline but are not able to go into depths of its various concepts. It’s a starter level certification for those professionals belonging to the disciplines other than marketing. Ideally it is meant for Account Officers, Marketing Associates, Client Service Representatives, Assistants to Marketing Officers, Territory Officers, Sales Officers and Call Center Officers etc. On the other hand this certification provides a base in marketing to non-marketing professionals like Engineers, Pharmacists, Lawyers, SME Entrepreneurs and Educationists etc. Professionals who demonstrate their understanding of this fundamental level will be awarded with an international certification title. Detailed eligibility and entry criteria are available afterwards. IIMP® accredited Manager CMMP® is an intermediate level international certification designed for marketing professionals who are very familiar with various concepts of the discipline of marketing. As evolving complexities in the field of marketing call for further professional development and requires to add value to their tasks and assignments. The certification is a good match for Marketing Managers, Marketing Coordinators, Marketing Communication Managers, Outlet Managers, Marketing Research Managers, Sales Managers, Distribution and Logistic Managers, Sales Engineers and IT Business Development Managers etc. The certification will enhance the capacity of marketing professionals and will empower them to better tackle the challenges of directing their teams and blush on the performances of their teams. The eligibility criteria and entry requirements are provided in the coming section. IIMP® accredited Executive CMMP® is an advanced level international certification designed especially for developing marketing professionals who have to meet the rapid and global competition around the world. By receiving the Executive CMMP®, marketers will be better equipped to face the challenges that technological innovations require, and it will enhance their diverse responsibilities and leadership in their respected organizations. 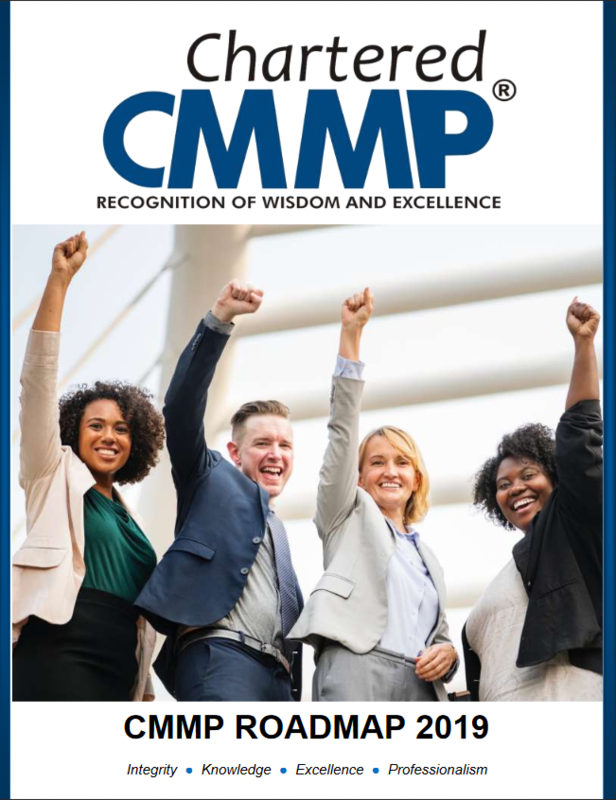 The Executive CMMP® is targeted to Marketing professionals who possess quick decision making skills, an expertise of new product development rules and policies, and play a role in recruiting and training new professionals for their departments. The certification will not only add value to their credentials but also polish their foresight and analytical skills and prepare them for the global market. The certification is ideal for Marketing Executives, Product Planners, R&D Executives, Seniors in Marketing Personnel Departments, Senior position holder in Logistics and Distribution professionals and for professionals working in Executive positions in the Marketing Information Department etc. Please see the eligibility and other requirements in the following sections. 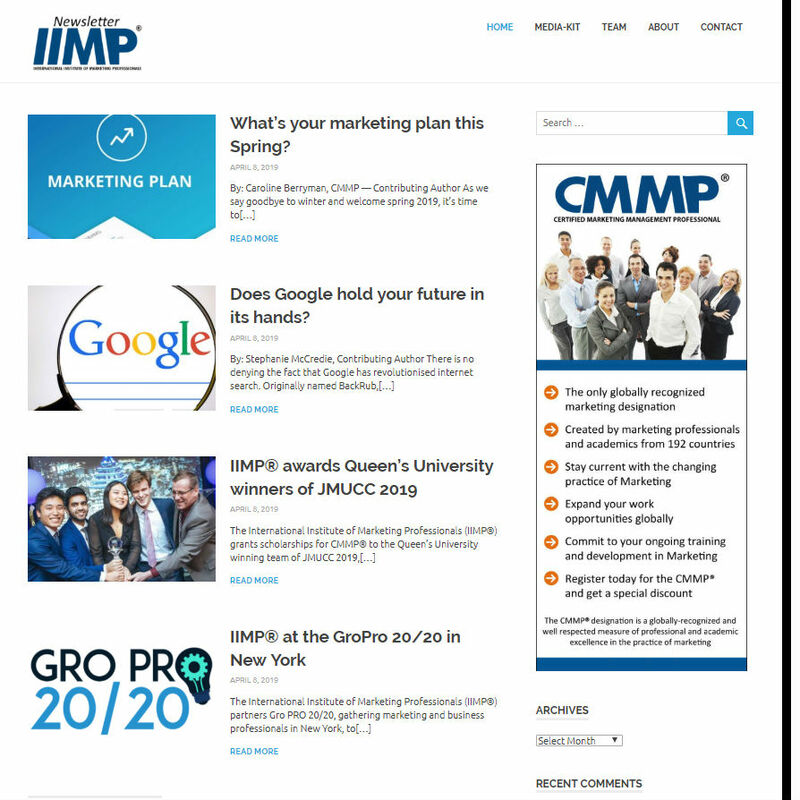 IIMP® accredited Chartered CMMP® is the highest level of marketing designation developed for professionals in the senior most positions in the marketing departments of their organizations i.e. Chief Marketing Officer, Vice President of Marketing, Marketing Directors, Marketing Educators, Deputy Director Marketing, Regional/Country Head Marketing and Marketing Consultants etc. The professionals will be able to provide effective and efficient performance of their business operations/units. The credential will make them experts who are specialized in their field of operation. The certifications will enhance their ability to influence direct change in a variety of management structures while maintaining the vision of leadership, and it will sharpen their analytical and strategic planning skills. Further information about eligibility and entry criteria is discussed in the coming section. The framework of the CMMP® program has been formed by the following three advisory board and councils which consist of senior advisory marketing leaders representing 192 countries. The development of the CMMP® designation have been led by the Internationally Accepted Marketing Standards™ (IAMST) Board which represents the G-20 countries; the IAMST Board members include senior academic leaders from reputable business schools and Chief Marketing Officers from major corporations across the G-20 countries. The IAMS Board worked with the aid and cooperation of teams from Advisory Council of Marketing Practitioners (ACMP); that is a group of marketing practitioners and International Advisory Council for the Marketing Profession (IACMP) which has representation marketing leaders representing 192 countries.